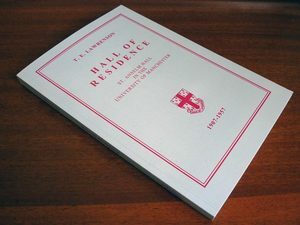 A modern remake of a St Anselm Hall classic. 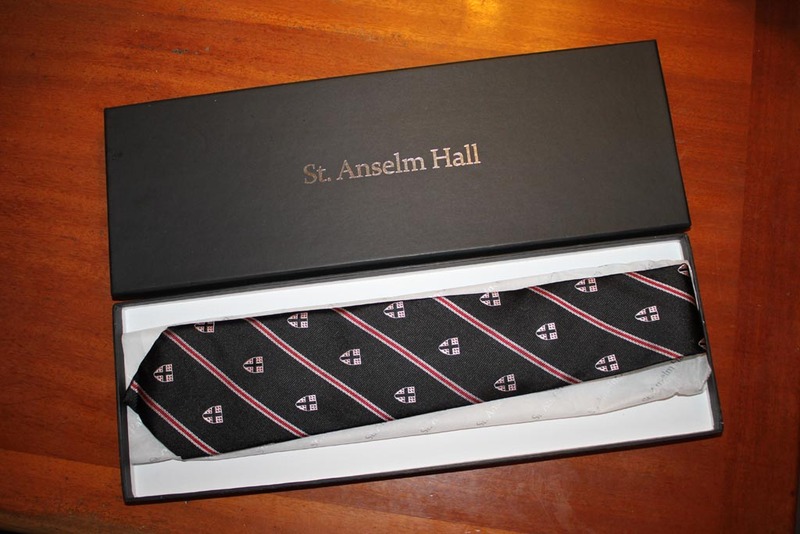 A fine silk tie in the tradition of the hall. 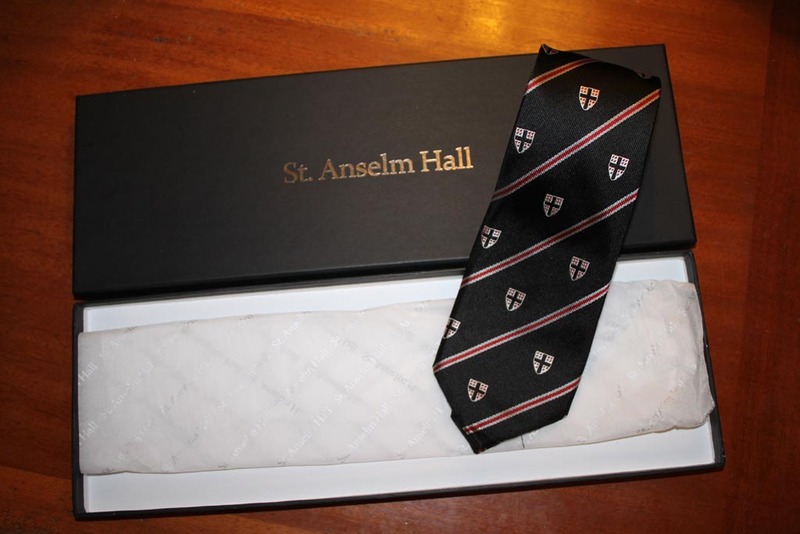 A St Anselm Hall classic, this recent reproduction is a fine silk tie. 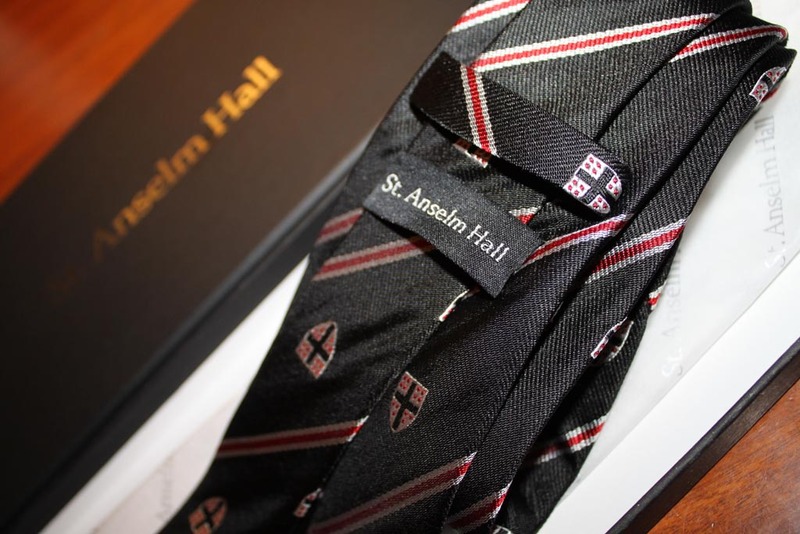 High quality Chinese silk printed with a repeating pattern of the hall crest. 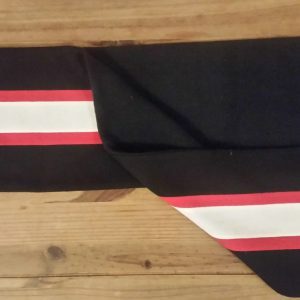 Designed based on a black background with red and white thin diagonal stripes. 147cm (58″) long x 8.5cm (3″) wide at the widest part. 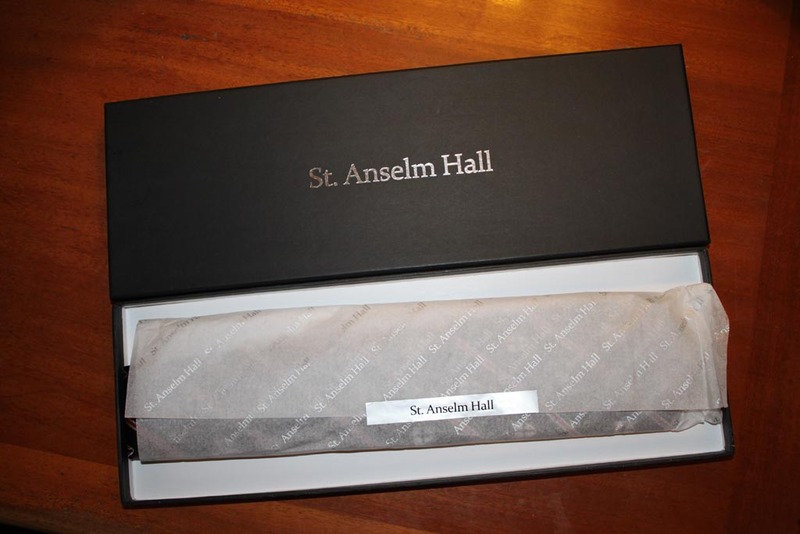 Presented tissue wrapped in a gift box. 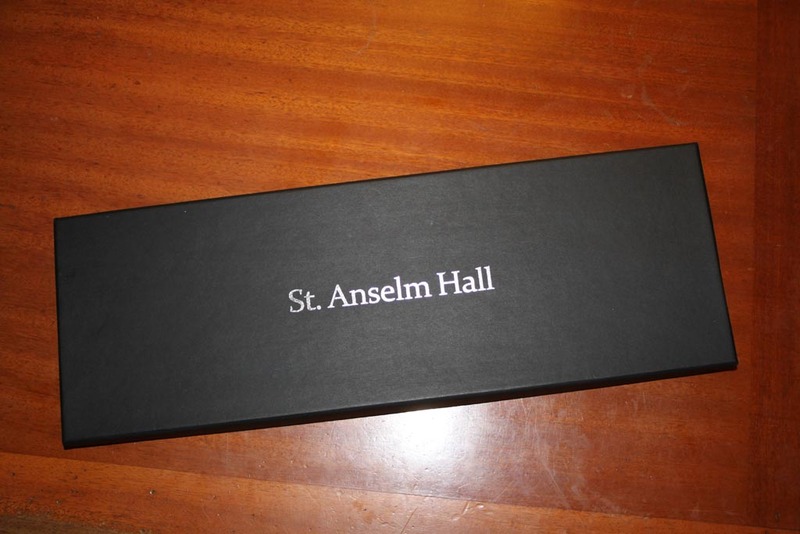 We enjoy hearing from Old Anselmians, and we look forward to seeing you at one of the reunions in the near future. 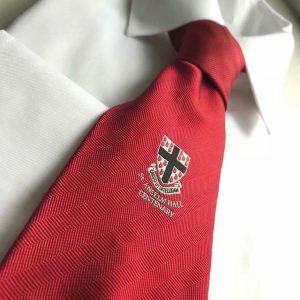 Copyright © 2019 St Anselm Hall Association - All Rights Reserved.